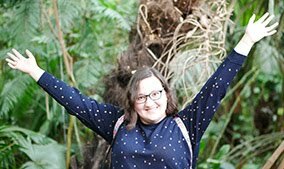 Happy Easter and welcome to the Easter blog hop! Today is the day when we tumble down the rabbit's hole and hop after the White Rabbit. 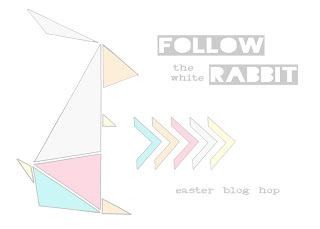 The rabbit hops from blog to blog, from country to country all around the cyber scrapbooking world! Although the countries and styles vary and designers participating had a free choice what to create for the hop, the pieces of art have all something in common. If you're familiar with Alice in Wonderland, you might remember that the White Rabbit, which Alice followed and found the Wonderland, had a pocket watch. So in this hop the common theme is a time piece. You can find an interpretation or a way to incorporate a clock in every creation! Inspiring, right? There's also possibility to win great prizes! So please hop along and remember to leave a comment at every stage! That way you ensure as many tickets for the raffle as possible. You'll have just a week to participate (to April 8th at noon GMT) for the giveaway put together from donations from 7 Dots Studio, BadgesFolie, Garn&Mehr, Stromsvigt and Wycinanka. There's three prizes to be won and there might be something extra along the hop, too. 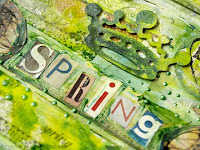 I created "spring time" journal piece, please tell me WHEN it comes to Poland? I can feel the spring. It´s a cool page. I think all Europe thinks the same "WHEN?!" I hope it will not keep us waiting for long now. Красивая работа! Интересно рассматривать детали! I hope Spring is coming soon for you (and for us... It's too cold for the time of year in the Netherlands too). 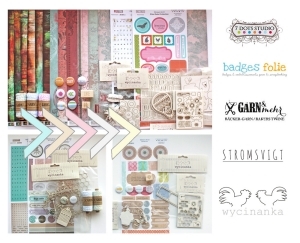 Love the page: the layers, the colours and your stamps! That green colour is stunning. Very nice spring project. Love it. If spring does arrive in Poland please parcel a little bit up and send it to England!! I just love your "playing Colours"! Stunning work! Love the colours and the texture! Great job! Lovely! 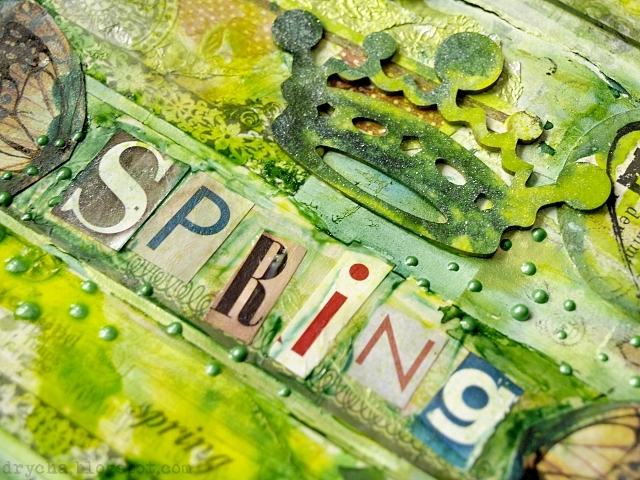 At least Spring has arrived with your wonderful journal page!!! Awesome artwork! I feel like you. It's about spring time also here in Spain! 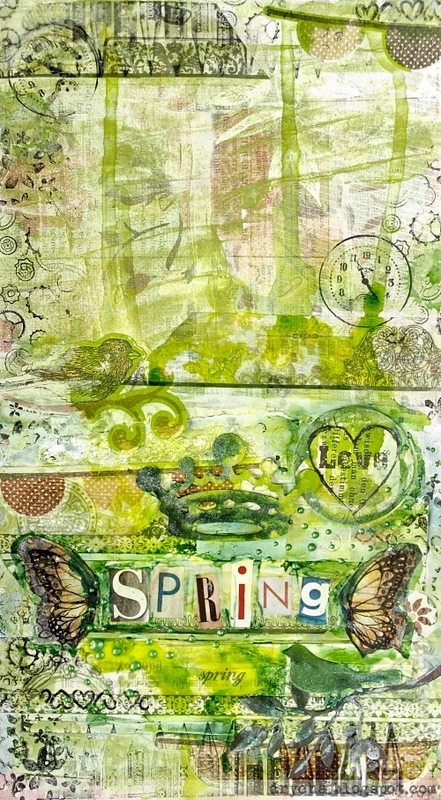 What a great spring-y journal page! The green you chose just makes it feel fresh and warm outside! Love the little touches you added throughout! I love oyur work- and this is no exception! Awesome dimension and layering! this is lovely! my favorite bit is the green "pearls" :). i am waiting for spring to arrive in the UK too! hopefully we don't have to wait for too long! It is stunning!! I love the color and the stunning textures! Wow! All the layers on this piece, that great vibrant color and the texture, amazing piece! Wow, what an amazing explosion of one of my most fav colours...green! Love this! I love your interpretation of Spring! Sadly, Spring will be very late this year. Lovely colors, I can't wait for the snow to disapear so I can see some green around here. Beautiful - especially love the butterfly wings. Thank you for sharing. Hope your spring comes and brings our spring to Belarus! This is awesome. Hurry up Spring and come to us all!!! Pretty spring journal piece! Love that green! Love the colors and a whole project! So springy! Love the different shades of green and all the texture. Oh, i like this! Lovely! Beautiful , inspiring piece of art. Love the layers. Can't wait the spring to arrive either! Gorgeous piece of inspiring art. Love the colour and the butterfly wings. Just awesome. Fantastic background!! I love this color!! Beautiful spring page! We're missing the spring also here in Finland. Oh, this is perfect medicine for this lousy spring! Lovely!